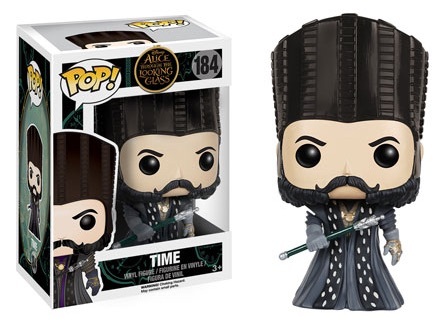 Don't worry, you're not late! 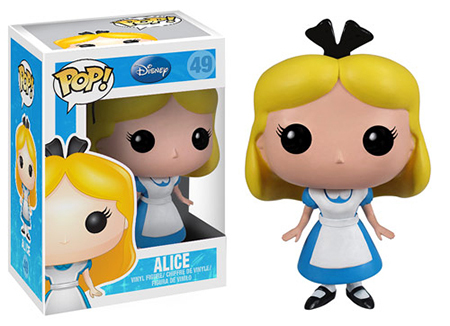 The Funko Pop Alice in Wonderland series covers the Disney franchise, offering many figures from the famed fairytale. 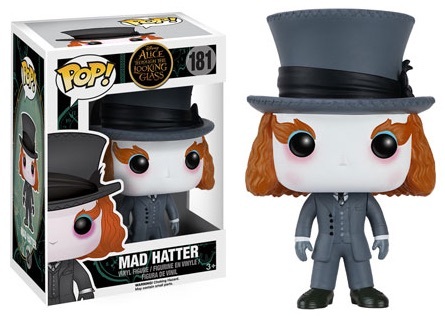 Featuring a host of familiar subjects, the Funko Pop Alice in Wonderland lineup begins with classic animated characters including Alice and the Mad Hatter. 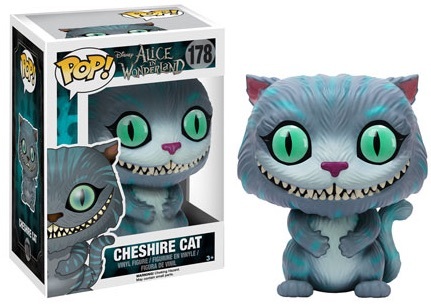 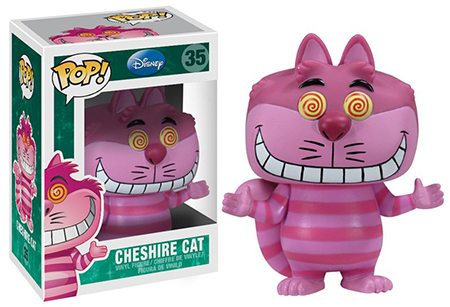 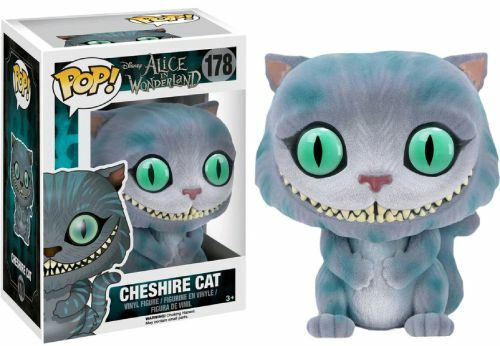 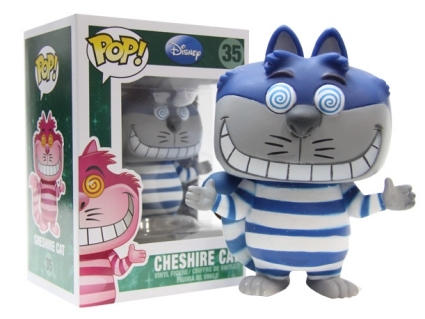 Also, Cheshire Cat exclusives come via the 2012 San Diego Comic-Con (SDCC) blue variant along with a disappearing Cheshire Cat from Hot Topic. 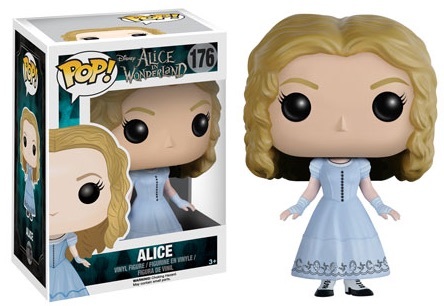 Shop for Funko Alice in Wonderland Figures on Amazon. 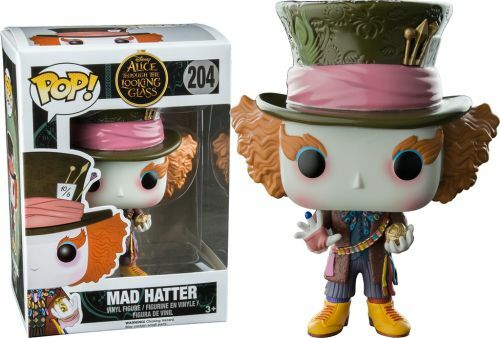 Part of later releases, the live-action films captivated young audiences and the young at heart, and their stylized figures do, too. 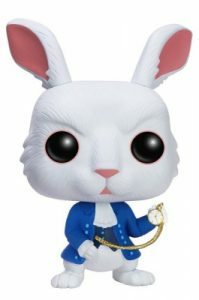 The Alice in Wonderland Pop! 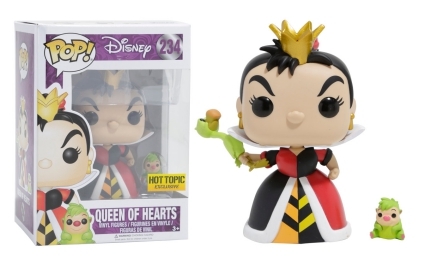 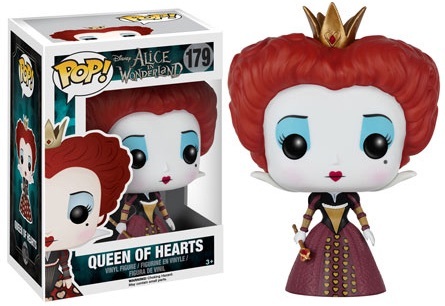 movie set features updated versions of Alice, Cheshire Cat and the Mad Hatter, while the Queen of Hearts makes her vinyl debut. 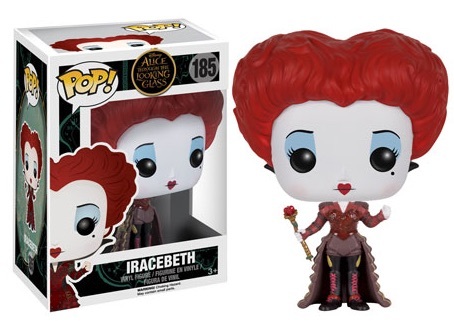 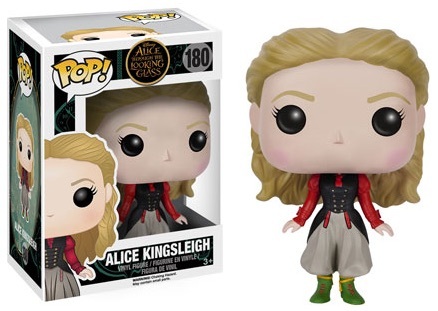 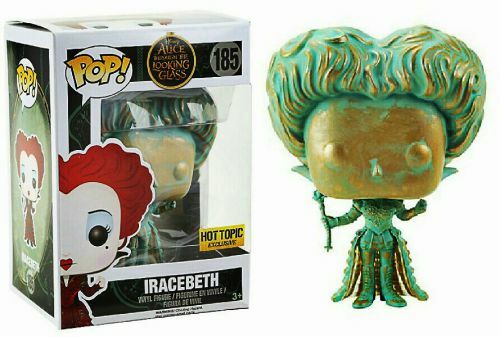 Not to be overshadowed, Alice Through the Looking Glass brings several more characters to the Pop! 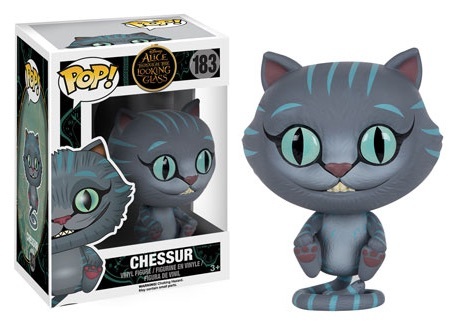 spotlight including McTwisp, Chessur, Time and Iracebeth. 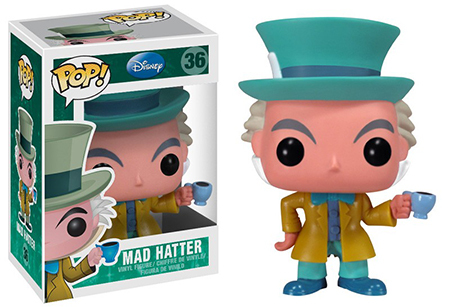 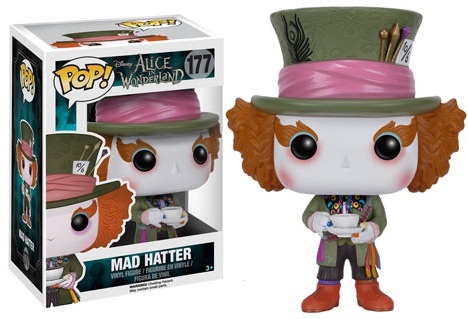 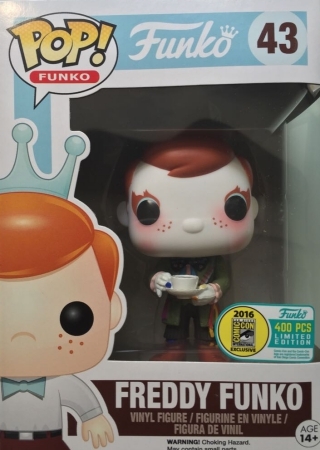 For Alice in Wonderland completists, you might have a challenge finding Freddy Funko as the Mad Hatter given that the 2016 SDCC exclusives have a small production run. 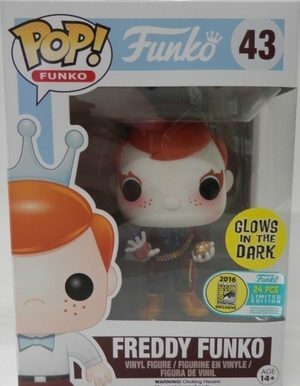 The main option is limited to 400 copies, while just 24 glow-in-the-dark variants were made. 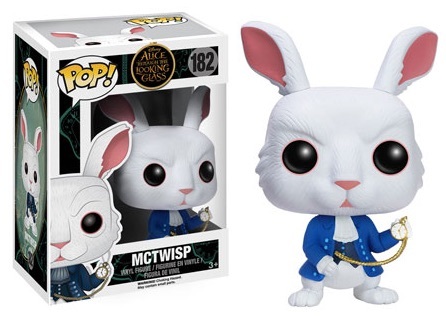 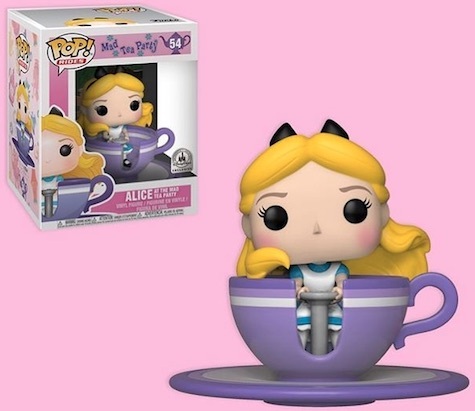 Let us know if you see any missing Funko Pop Alice in Wonderland figures. 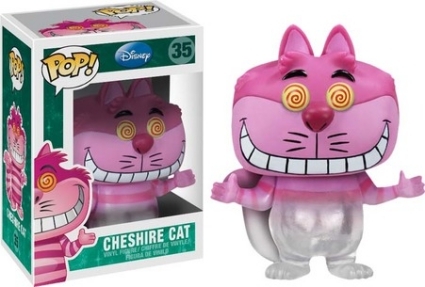 178 Cheshire Cat GITD - BAM! 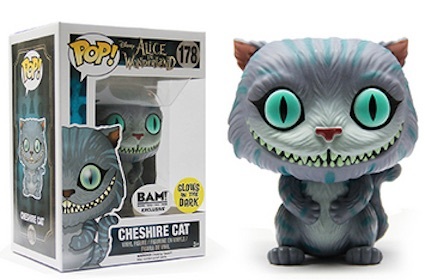 Releasing at WonderGround Gallery (Downtown Disney District), Le Petit Chalet/Disneyana in Disneyland, and also Big Top (Magic Kingdom), Disney Style/Pin Traders at Disney Springs in Disney World. 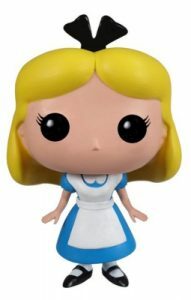 ALICE IN WONDERLAND FUNKO POP 3 7 8in- VINYL FIGURE DISNEY 49 VW GOLF 5 BOX 4"